Over recent months, Ultraframe has made further efforts to recycle and re-use materials around its Clitheroe plant in order to reduce its carbon footprint and play a continuing part in helping the environment. This commitment to recycling is shared by many Ultraframe customers, with one in particular standing out. Ultra Installer, Solayr Ltd of Ayr has recently achieved the ultimate in recycling – by re-siting a large Ultraframe-roofed portal, 10 years after it was first installed! 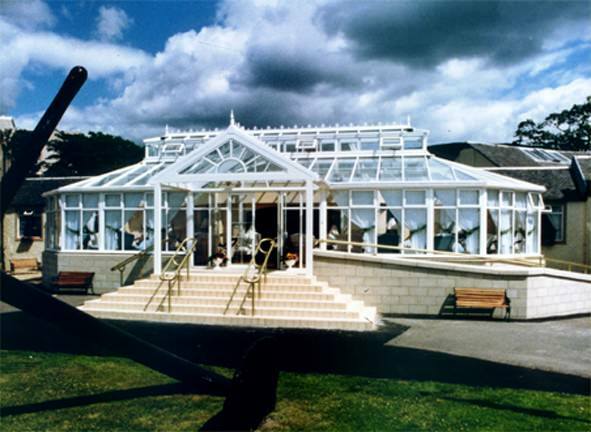 The 17m x 8.5m lantern style portal was originally installed on to a prestigious hotel in the Ayrshire area in 1998 and was used as a relaxation area for guests for many years until recently when the hotel closed its doors. The conservatory was all set to be demolished until John Kent, Principal of the nearby sport Scotland project in Inverclyde heard that such a beautiful structure was about to go to waste and made contact to enquire about the ultimate recycling challenge. 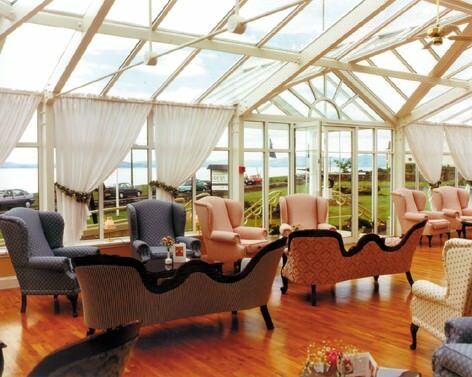 He was advised by the hotel that if Solayr could remove the conservatory within 10 days, it would be donated to sport Scotland free of charge – a challenge which Solayr gladly undertook and completed within the requested time frame. The team at Solayr, many of whom worked on the installation of the portal first time around, advised that the Ultraframe roof was still in perfect condition, despite having withstood the harsh Scottish weather for 10 years, and that it was indeed possible to re-site it. The project that followed took a great amount of planning and skill by the team at Solayr and during the process the Ultraframe roof was upgraded with chambered top cappings to enhance its thermal efficiency, but other than that, every part of the original roof still remains – testament to the structural integrity of the Ultraframe system. Sport Scotland is the national agency for sport, dedicated to helping increase participation and improve performance in Scottish Sport and has been included in the training camp facilities guide for London 2012. In particular, the new fitness suite which is housed in the conservatory now meets the British Olympic Association strength and conditioning standards, which means the centre will be able to host sports squads and teams working at the very highest level. The Queen originally opened the Centre in 1958 following its purchase with funds raised in the memory of King George VI, the Queen's father, and she recently came back to mark the 50th anniversary and see for herself how the Centre has evolved, becoming one of Scotland’s leading sports training venues.